712 Brannan Dr W is a completely updated 3 bed 2 bath home for sale. This home has a fresh coat of paint both inside and out to go along with new carpet in the bedrooms. The large living room features split brick floors, recessed lighting, crown and chair molding, and a brick wood burning fireplace. The kitchen is updated with granite counters, lots of white cabinets, refrigerator, and a pantry. The master suite is downstairs. The master bath is spacious with granite counters, tiled shower/tub, and huge walk-in closet. Upstairs there are 2 large bedrooms both with generous size walk-in closets. Between the 2 bedrooms is the second bathroom that is also updated with granite counters and a tiled shower/tub. The laundry room is downstairs. Washer and dryer remain. There are smooth ceilings throughout the home, No Popcorn! There is an attached double carport. To make this home even more spectacular is its convenient location. 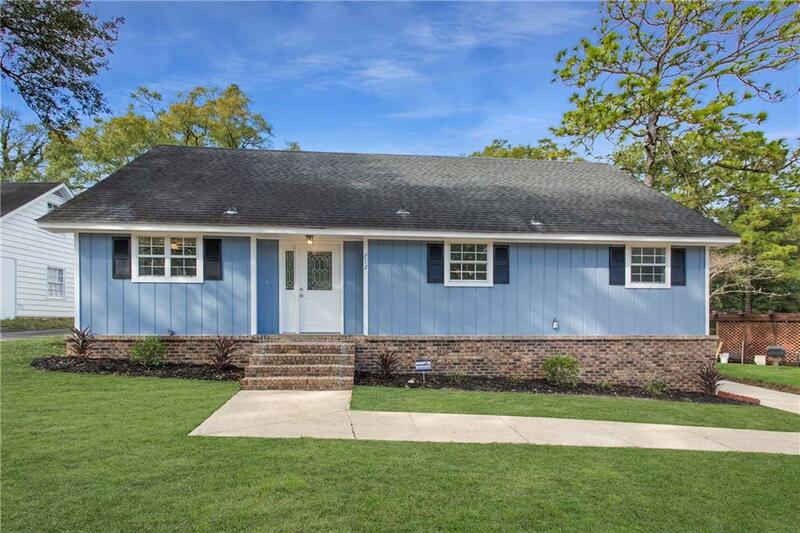 Buying this home would put you 5 minutes to Bel Air Mall, McGowin Park, and I-65, 10 minutes to Spring Hill College, and 15 minutes to USA’s campus and Downtown Mobile. This home is move in ready and won’t last long! Call today for your personal tour!! !